6 oz. Stainless Steel Matte Black Flask with 4 matching shot cups and silver funnel, all in gift boxed set. Ideal for beverage and liquor branding, drink promotions and more. 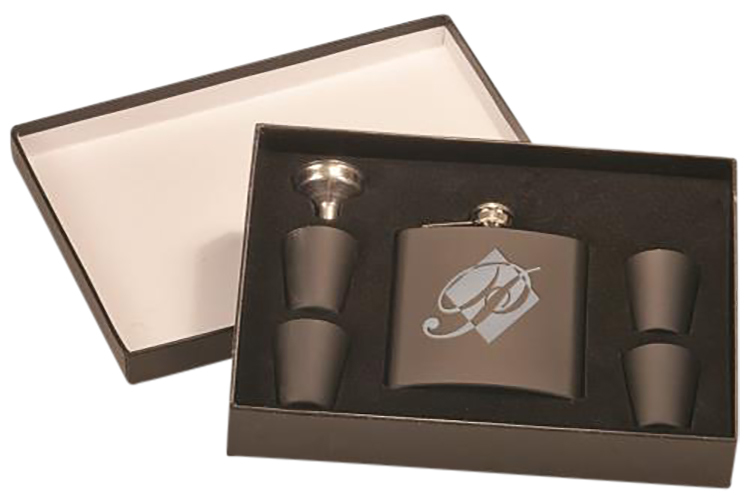 Prices include a laser engraved imprint on the front of the flask only and each set is individually gift boxed. Personalization is available at an additional charge. 3.25" x 4.25" x 1"